A monthly contribution that is automatic is convenient, efficient, and powerful. Join us as we raise the next generation of journalists. Turn your unwanted car into the news and information you depend on. Learn how you business or organization can support award-winning programming. 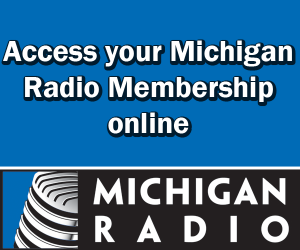 Using appreciated securities is an excellent way to make a gift to Michigan Radio. Consider including Michigan Radio in your will, trust, or other estate planning. Michigan Radio Producers Circle supporters are an integral part of Michigan Radio’s success. Have your employer match your gift. Learn what grant-making organizations have made this station possible. Memorials, honors, in-lieu-of gifts, and private fundraisers.